Nostalgia is an emotion that is experienced by almost everyone (Boym, 2001). But what exactly is the content of nostalgia, when is it elicited, and what does it do for the individual? Until recently, the psychological literature provided few, if any, clear answers. Read on for a journey taking in spirits, Swiss mercenaries, Shakespeare, Saturn, and several studies that shed some light on the content and psychological significance of nostalgia. The term ‘nostalgia’ derives from the Greek words nostos (return) and algos (pain). The literal meaning of nostalgia, then, is the suffering evoked by the desire to return to one’s place of origin. The term was coined by the Swiss physician Johannes Hofer (1688/1934) to capture the adverse symptoms displayed by Swiss mercenaries in the service of European monarchs. Hofer thought of nostalgia as ‘a cerebral disease’ and believed that is was caused by ‘the quite continuous vibration of animal spirits through those fibers of the middle brain in which impressed traces of ideas of the Fatherland still cling’ (p.384). Symptoms of this disease, Hofer proposed, included obsessive thinking of home, bouts of weeping, anxiety, palpitations, anorexia and insomnia. Not everyone agreed with Hofer. The physician J.J. Scheuchzer (cited in Davis, 1979), for instance, proposed that the supposedly high incidence of nostalgia among Swiss mercenaries was due to the variations in atmospheric pressure these soldiers experienced as they descended from their Alpine homes to fight on the plains of Europe. 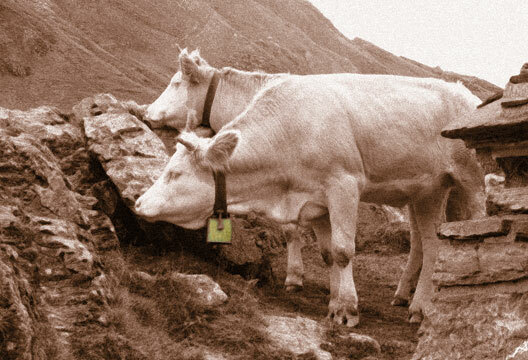 Interestingly, some military physicians proposed that nostalgia was largely confined to the Swiss because of the unremitting clanging of cowbells in the Alps, which inflicted damage upon the eardrum and brain. This view of nostalgia as a neurological affliction persisted throughout the 17th and 18th centuries. By the early 19th century, definitions of nostalgia changed. Nostalgia came to be regarded as a form of melancholia or depression. This disconsolate view of nostalgia was promoted throughout the 20th century by scholars in the psychodynamic tradition, who described nostalgia as an ‘immigrant psychosis’ (Frost, 1938), a ‘mentally repressive compulsive disorder’ (Fodor, 1950), and ‘a regressive manifestation closely related to the issue of loss, grief, incomplete mourning, and, finally, depression’ (Castelnuovo-Tedesco, 1980). In part, this gloomy perspective can be attributed to the fact that nostalgia has long been equated with homesickness. Only in the latter part of the 20th century did nostalgia acquire a unique conceptual status. The groundwork for this new look on nostalgia was laid by sociologist Fred Davis (1979). He showed, for instance, that participants associated words like warm, old times, childhood, and yearning more frequently with nostalgia than with homesickness, suggesting that participants could discriminate between these two concepts. Current dictionary definitions of homesickness and nostalgia also reflect their distinctness. The New Oxford Dictionary of English defines homesick as ‘experiencing a longing for one’s home during a period of absence from it’ and nostalgia as ‘a sentimental longing for the past’. There is now a sizeable literature on homesickness, which concentrates on the psychological problems associated with the transition to boarding school or university (see Van Tilburg et al., 1996; and the article by Hazel Willis et al. in The Psychologist archive at www.bps.org.uk/r63f). Research on nostalgia, however, has remained scarce and limited mainly to the field of consumer psychology. Research in this tradition has demonstrated how product styles that were popular during an individual’s youth influence their preferences throughout the lifespan. In one interesting study, Holbrook and Schindler (1989) asked participants ranging in age from 16 to 86 years to rate popular songs dating from 1932 to 1986. Results revealed a greater preference for songs that were popular when participants were in their late teens, relative to songs that were popular before participants had reached their teens or after they had reached adulthood. Although we do not mean to suggest that such findings are unimportant, we have attempted to lay the foundation for a broader perspective in order to understand more fully the psychology of nostalgia (Routledge et al., in press; Sedikides et al., 2006; Sedikides et al., 2004; Sedikides et al., in press; Wildschut et al., 2006). Given that we found ourselves in largely uncharted territory, our programme of research initially concentrated on three fundamental questions about nostalgia, which we turn to now. What is the content of nostalgic experiences? We (Wildschut et al., 2006) examined the content of nostalgic experiences in two studies. In the first, we content-analysed narratives that were published in a US periodical titled Nostalgia. Authors of these narratives were US residents and ranged in age from the early twenties to the late eighties. A follow-up study used a vivid-recall methodology, in which participants recalled a nostalgic experience and wrote a narrative account of it, which we then content-analysed. In this and all our subsequent studies described here, participants were undergraduate students at a large British university. The two studies painted a picture of a positively toned and self-relevant emotion that is often associated with the recall of experiences involving close others. Nostalgia is positively toned because the narratives included far more expressions of positive than negative affect. Nostalgia is self-relevant because the self almost invariably figured as a protagonist in the narratives, albeit very rarely as an isolated actor or spectator. Although most narratives contained a majority of positive elements, this is not meant to say that nostalgia is a purely hedonic experience or that nostalgia is merely recollection of or reminiscing about positive past events. Many narratives contained descriptions of disappointments and losses, and some touched on issues such as physical injury, separation, and even death of loved ones. Nevertheless, positive and negative elements were often juxtaposed so as to create a redemption sequence (McAdams, 2001) – a narrative pattern that progresses from a negative to a redeeming, or mitigating, positive life scene. For example, one participant wrote: ‘My Nan died that weekend and even though it was awful, it was a type of relief for my Nan and us. When I look back at this in my mind, I feel so proud of my Mum and the way she coped, it showed her immense love and devotion to her own mother.’ The strength of the redemption theme may explain why, despite the descriptions of sorrow that they contained, the overall affective signature of the nostalgic narratives was predominantly, albeit not exclusively, positive. Simply put, all is well that ends well! Shakespeare, that giant of psychology, captured sublimely the intricate web of relationships between these important aspects of nostalgia – human sociality, loss, redemption, and positive affectivity – in his Sonnet 30. Our second question related to the conditions that elicit nostalgia. We started by simply asking participants to provide detailed descriptions of the circumstances under which they become nostalgic. The most common trigger emerging from these descriptions was negative affect. One participant wrote: ‘I think of nostalgic experiences when I am sad as they often make me feel better.’ Another participant wrote: ‘I think people would turn to nostalgia in unhappy, sad or lonely situations to make themselves smile.’ Among the negative affective states mentioned, loneliness was by far the most common, as is illustrated by this final quote: ‘If I ever feel lonely or sad I tend to think of my friends or family who I haven’t seen in a long time.’ These findings are consistent with Davis’s (1979) notion that nostalgia ‘occurs in the context of present fears, discontents, anxieties, and uncertainties’ (p.34), and they raise the possibility that individuals may retrieve nostalgic memories in an attempt to regulate psychological distress. To explore further the role of negative affect, we conducted two experiments. In the first, participants read one of three news stories that were intended to influence their mood. In the negative mood condition, participants read about the tsunami that struck coastal regions in Asia and Africa in December 2004. In the neutral mood condition, participants read about the January 2005 landing of the Huygens probe on Titan, one of Saturn’s moons. Finally, in the positive mood condition, participants read about the November 2004 birth of a polar bear in the Detroit Zoo (we substituted ‘London Zoo’ for this). After reading one of these news stories and briefly describing the thoughts and feelings it evoked, participants completed a measure of nostalgia developed by Batcho (1995). Specifically, participants rated the extent to which they missed 18 aspects of their past. These included ‘the way people were,’ ‘holidays I went on,’ ‘my pets,’ ‘past TV shows, movies,’ ‘someone I loved,’ and ‘feelings I had.’ Consistently with the postulated role of negative affect, we found that participants in the negative mood condition scored higher on the nostalgia measure (i.e. missed things from the past more) than did those in the neutral and positive mood conditions. The neutral and positive mood conditions did not differ significantly. When we examined the specific aspects of their past about which participants in the negative mood condition felt most nostalgic (relative to the other two conditions), we found that these were mostly social items such as ‘my family’, ‘someone I loved’, ‘my friends’, ‘the way people were’ and ‘having someone to depend on’. In the second experiment, we sought to move beyond our initial focus on global negative mood and acquire a more differentiated understanding of the discrete affective triggers of nostalgia. In contrast to global negative mood, which often lacks a specific referent or antecedent, discrete negative affective states arise from appraisals of clearly delineated actual or contemplated events. For two reasons, our attention was drawn to the discrete affective state of loneliness. First, in our initial study, the most frequently mentioned discrete affective trigger of nostalgia was loneliness. There was also a compelling theoretical reason for targeting loneliness. Research has shown that deficiencies in belongingness elicit compensatory mechanisms (Williams & Sommers, 1997). If we were to find, then, that loneliness increases nostalgia, this would raise the interesting possibility that nostalgia serves to redress deficiencies in belongingness. We successfully manipulated loneliness by giving participants false feedback regarding their score on a test that ostensibly assessed loneliness. For some participants, the feedback indicated that they were high in loneliness, whereas for others the feedback indicated that they were low in loneliness. All participants were then instructed to write a brief explanation for their score. As in the previous experiment, we then measured nostalgia by instructing participants to rate how much they missed 18 aspects of their past. Participants in the high loneliness condition scored higher on the nostalgia measure than did those in the low loneliness condition. Replicating our previous findings, the largest effects were found for social items such as ‘my family’, ‘the way people were’ and ‘having someone to depend on’. Why might negative mood and loneliness trigger nostalgia? We have already touched upon the interesting possibility that the psychological significance of nostalgia may reside in its capacity to counteract distress and restore psychological equanimity. But what are the pathways through which nostalgia exerts such palliative benefits? We address this question next. What is the psychological significance of nostalgia? We have found evidence that nostalgia serves four functions. First, nostalgia generates positive affect. Second, nostalgia maintains and enhances positive self-regard. Third, nostalgia strengthens social bonds. Finally, nostalgia imbues life with meaning, which facilitates coping with existential threat. This quartet does not exhaust all possible functions of nostalgia, but both extant conceptual treatises of nostalgia and the wider social-psychological literature provided a firm theoretical basis for exploring these four functions first. In one series of studies (Wildschut et al., 2006), participants brought to mind and wrote about a nostalgic experience or, in the control condition, an ordinary event that occurred in the past week. Subsequently, they completed various measures of positive affect, self-regard, and social bonding. Turning, first, to positive affect, there is a wealth of evidence that positive emotions such as love, pride and joy are associated with a host of desirable outcomes. To name but a few, positive affectivity facilitates approach behaviour, increases subjective well-being, fosters psychological resilience, and gives rise to thought patterns that are flexible, creative, integrative and efficient. We proposed that nostalgia serves as a store of positive affect. Kaplan (1987) characterised nostalgia as a ‘joyous’ experience that gives rise to ‘an expansive state of mind’ and ‘a feeling of elation’. Similarly positive characterisations have been offered by Batcho (1995, 1998) and Davis (1977, 1979). We obtained direct evidence for the notion that nostalgia has a positive affectivity function. Participants who brought to mind and wrote about a nostalgic experience reported more positive affect than participants in the control condition who brought to mind and wrote about an ordinary event. Turning, next, to positive self-regard, individuals possess a well-documented need to protect, maintain and enhance the positivity of the self-concept (Sedikides & Gregg, 2003). We propose that nostalgia constitutes an important mechanism through which individuals achieve positive self-regard. Nostalgia may be effective in this regard because it can bestow ‘an endearing luster’ on the self and cast ‘marginal, fugitive, and eccentric facets of earlier selves in a positive light’ (Davis, 1979). Indeed, in our studies, participants who brought to mind and wrote about a nostalgic experience reported higher self-esteem than participants in the control condition. By now, it should come as no surprise that we believe that nostalgia is a deeply social emotion. As Hertz (1990) elegantly phrased it, in the nostalgic experience ‘the mind is “peopled”’. Symbolic ties with close others are affirmed, and close others come to be momentarily part of one’s present. Such meaningful bonds are particularly relevant during life transitions (e.g. graduation, relocation, new employment), when individuals are likely to feel socially isolated. Nostalgia, then, contributes to a sense of safety and secure attachment. Indeed, in our studies participants who brought to mind and wrote about a nostalgic experience subsequently evidenced a more secure adult attachment style and greater interpersonal competence than participants in the control condition. Finally, we turn to the issue of meaning. From an existential perspective, one of the primary challenges that people face is carving out a meaningful and valued existence. Yet, awareness of the transience of life and our own inevitable mortality presents a major obstacle on the path to psychological equanimity. According to terror management theory (Pyszczynskiet al., 2004), such existential anxiety is mitigated by maintaining a two-part anxiety buffer that consists of faith in a cultural worldview (shared beliefs about the nature of reality that imbue life with meaning) and self-esteem (the sense that one is personally fulfilling the standards of one’s worldview). Nostalgia can contribute an overall sense of enduring meaning to one’s life. It provides an emotional mechanism by which the passing of time can be perceived as meaningful and has the additional effect of soothing existential fears by reinforcing the value of cultural traditions. Our recent research (Routledge et al., in press) provides support for the existential function of nostalgia. We examined how nostalgia impacts the effects of reminders of mortality. For example, in one study we found that, after being reminded of one’s mortality (relative to an aversive control topic), positive perceptions of the past were positively associated with perceived meaning in life. In another study, we further found that after being reminded of mortality (relative to an aversive control topic), people who are more prone to nostalgia actually show less activation of death-related thoughts. The fact that our samples consisted predominantly of British undergraduate students potentially limits the generalisability of our findings to older adults. The question whether age-related changes in motivation have a bearing on nostalgia is an issue that deserves careful empirical scrutiny. Socio-emotional selectivity theory (Carstensen et al., 1999) proposes that with advancing age people come to view their lifespan as limited. Thus, they shift attention away from future-oriented, knowledge-related goals and start to emphasise more strongly the importance of finding purpose and meaning in life, of enjoying the moment, and of being embedded in a social network. Consistent with this socio-emotional selectivity theory, Kennedy et al. (2004) found that older adults recalled personal information in a more positive light than they had originally recorded it. This raises two important issues about nostalgia. First, are age-related changes in motivation reflected in the frequency and content of nostalgia? We would expect older adults to experience nostalgia more frequently and to assign a more prominent role to close others in their nostalgic reveries. The second issue is whether nostalgia acquires greater significance in old age. Bereavements and declines in physical health may render older adults especially vulnerable to social isolation (Victor et al., 2005). Social isolation, in turn, impairs the formation and maintenance of intimate friendships and social networks that older adults so highly value. Perhaps, then, nostalgia has an important role to play in re-establishing a symbolic connection with significant others (Batcho, 1998; Cavanaugh, 1989; Mills & Coleman, 1994). We are currently in the process of testing these ideas. Regarded throughout centuries as a psychological ailment, nostalgia is now emerging as a fundamental human strength. It is part of the fabric of everyday life and serves a number of key psychological functions. Most importantly, nostalgia may be uniquely positioned to offer integrative insights across such important areas of psychology as memory, emotion, the self and relationships. The study of nostalgia has an exciting and promising future. Batcho, K.I. (1995). Nostalgia: A psychological perspective. Perceptual and Motor Skills, 80, 131–143. Batcho, K.I. (1998). Personal nostalgia, world view, memory, and emotionality. Perceptual and Motor Skills, 87, 411–432. Castelnuovo-Tedesco, P. (1980). Reminiscence and nostalgia: The pleasure and pain of remembering. In S.I. Greenspan & G.H. Pollack (Eds.) The course of life. Vol. III: Adulthood and the aging process (pp.104–118). Washington, DC: US Government Printing Office. Cavanaugh, J.C. (1989). I have this feeling about everyday memory aging…. Educational Gerontology, 15, 597–605. Davis, F. (1977). Nostalgia, identity, and the current nostalgia wave. Journal of Popular Culture, 11, 414–425. Davis, F. (1979). Yearning for yesterday: A sociology of nostalgia. New York: Free Press. Fodor, N. (1950). Varieties of nostalgia. Psychoanalytic Review, 37, 25–38. Frost, I. (1938). Homesickness and immigrant psychoses. Journal of Mental Science, 84, 801–847. Hertz, D.G. (1990). Trauma and nostalgia: New aspects of the coping of aging holocaust survivors. Israeli Journal of Psychiatry and Related Sciences, 27, 189–198. Holbrook M.B. & Schindler, R.M. (1989). Some exploratory findings on the development of musical tastes. Journal of Consumer Research, 16, 119–124. Kaplan, H.A. (1987). The psychopathology of nostalgia. Psychoanalytic Review, 74, 465–486. Kennedy, Q., Mather, M. & Carstensen, L.L. (2004). The role of motivation in the age-related positivity effect in autobiographical memory. Psychological Science, 15, 208–214. McAdams, D.P. (2001). The psychology of life stories. Review of General Psychology, 5, 100–122. Mills, M.A., & Coleman, P.G. (1994). Nostalgic memories in dementia: A case study. International Journal of Aging and Human Development, 38, 203–219. Pyszczynski, T., Greenberg, J., Solomon, S., Arndt, J. & Schimel, J. (2004). Why do people need self-esteem? Psychological Bulletin, 130, 435–468. Routledge, C., Arndt, J., Sedikides, C. & Wildschut, T. (in press). A blast from the past: The terror-management function of nostalgia. Journal of Experimental Social Psychology. Sedikides, C. & Gregg, A.P. (2003). Portraits of the self. In M.A. Hogg & J. Cooper (Eds.) Sage handbook of social psychology (pp.110–138). London: Sage. Sedikides, C., Wildschut, T., Arndt, J. & Routledge, C.D. (2006). Affect and the self. In J.P. Forgas (Ed.) Affect in social thinking and behavior: Frontiers in social psychology (pp.197–215). New York: Psychology Press. Sedikides, C., Wildschut, T. & Baden, D. (2004). Nostalgia. In J. Greenberg, S. Koole & T. Pyszczynski (Eds.) Handbook of experimental existential psychology (pp.200–214). New York: Guilford. Sedikides, C., Wildschut, T., Gaertner, L., Routledge, C. & Arndt, J. (in press). Nostalgia as enabler of self-continuity. In F. Sani (Ed.) Individual and collective self continuity. Mahwah, NJ: Lawrence Erlbaum. Van Tilburg, M.A.L., Vingerhoets, A.J.J.M. & van Heck, G.L. (1996). Homesickness. Psychological Medicine, 26, 899–912. Victor. C.A., Scambler, S.J., Bowling, A. & Bond, J. (2005). The prevalence of, and risk factors for, loneliness in later life. Ageing & Society, 25, 357–375. Williams, K.D. & Sommers, K.L. (1997). Social ostracism by one’s coworkers. Personality and Social Psychology Bulletin, 23, 693–706.